Fingal County Council is pleased to announce that Stage 2 of the tender process for the Donabate Distributor Road has been published on eTenders. This is a project co-funded under the Local Infrastructure Housing Activation Fund (LIHAF) which was announced earlier this year by the Minister for Housing, Planning Community & Local Government. Fingal County Council will provide 25 per cent of the project cost. 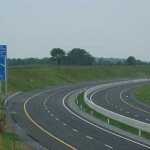 The project consists of a Distributor Road of approximately 4km length bypassing Donabate village. The alignment runs from R126 Hearse Road on the southwest of Donabate village, heading in an easterly direction, crossing the Dublin-Belfast railway line, then heading in a northerly direction to reconnect with R126 Portrane Road. The new road will form an important alternative road crossing of the railway line and will also serve the new housing development lands. The deadline for submission of tenders is September 12, 2017. It is anticipated that a decision to award the contract to the successful contractor will be made in October 2017. Fingal County Council is proposing to commence construction before the end of this year and the construction phase is expected to last 18 months.